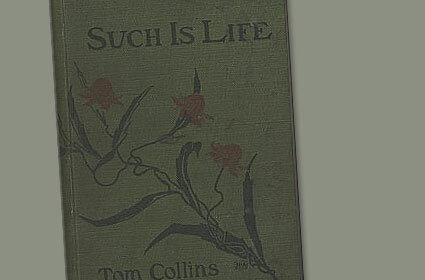 Distinguished Australian actor John Derum presents an insight into Joseph Furphy’s famous novel Such is life. John Derum introduces the book and reads some hilarious extracts, before Furphy’s great-grandnephew Andrew talks about his family and the short film Child lost on Goolumbulla (25 minutes). Andrew Furphy has made a film of part of the seminal novel, Such Is Life, as a tribute to the writer, his great great-uncle Joseph. Novelist, poet and author of 1982 Miles Franklin winning book Just Relations Rodney Hall discusses some of his favourite books including Robert Louis Stevenson's Treasure Island and Tom Collins Such is Life. THE name Furphy is as close to rural Victorian celebrity as it comes. When the Furphy name comes up in conversation, nine times out of 10 it will be about the water cart,'' says Andrew, the great-grandson of John and the great-grandnephew of Joseph. Australian classic novels are getting some attention at the moment. 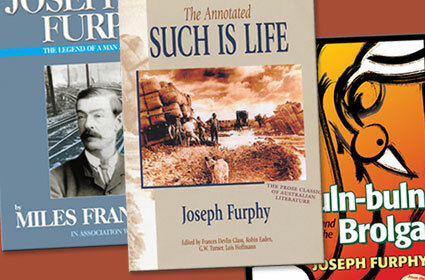 Text publishing continues to add to its Text Classic Series, Allen & Unwin has a classics series and now there's a film giving new life to Joseph Furphy's 1890's epic Such is Life. The short film called Child Lost on Goolumbulla is based on just one scene in the novel -which depicts the story of a helpless child lost in the bush. 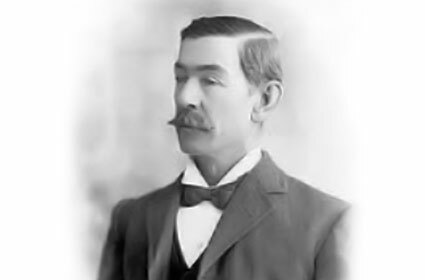 Andrew Furphy - a direct descendant of Joseph Furphy, produced the film with actor John Derum who also acted in the film and voiced the audio book of Furphy's original Such is Life. A NEW short film, helping bring to life an insert of the famed novel by Joseph Furphy, Such is Life, is set to premiere in the Riverina township of Hay next month. This story of furphies picks its way through facts and fictions. A furphy is a rumour or a yarn. The term was given to us by an Irish immigrant family who settled in Victoria in the 1800s. Accounts of the precise origins of the term 'furphy' have changed over the years, however. There have been a few furphies within the furphy story. The indisputable fact is that two very interesting brothers, between them, left us a legacy rich in words. In February 1904, Stella Miles Franklin – then aged 24 – received an admiring letter from a 60-year-old former bullock-driver named Joseph Furphy. He requested a photograph and proposed that they meet. Joseph Furphy is back. He's squatting under his beloved wilga tree in his bushie gear, stirring the billy can water with a stick. 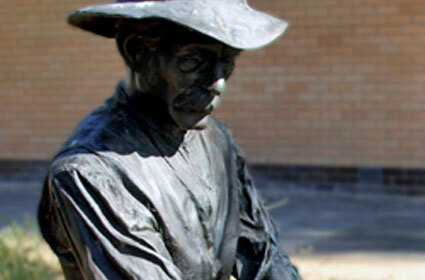 Not the real Furphy, of course, but a statue in bronze by Castlemaine sculptor Phil Mune.